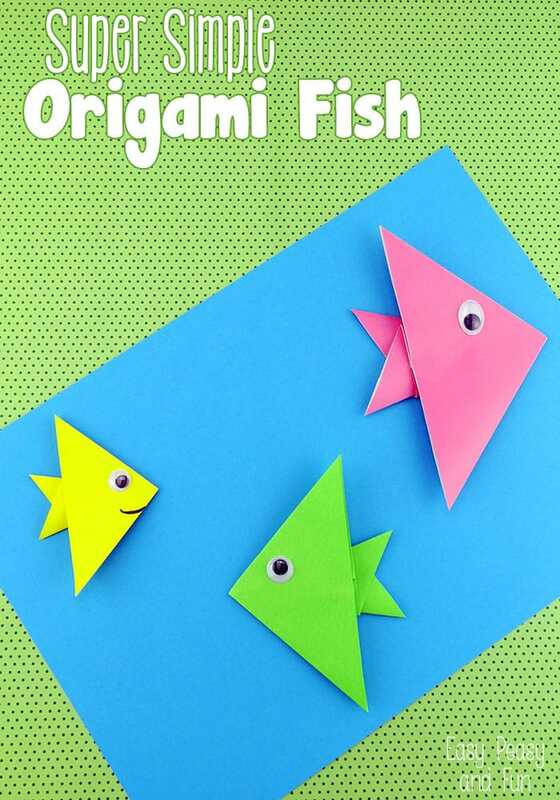 If your kids are into origami, or are just getting started this super simple origami fish is just the project for them- just follow the step by step tutorial! 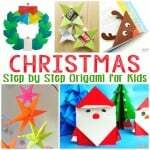 We love origami for kids – they are fun, easy to make and great for younger kids as well as beginners (as they all have easy to follow instructions). 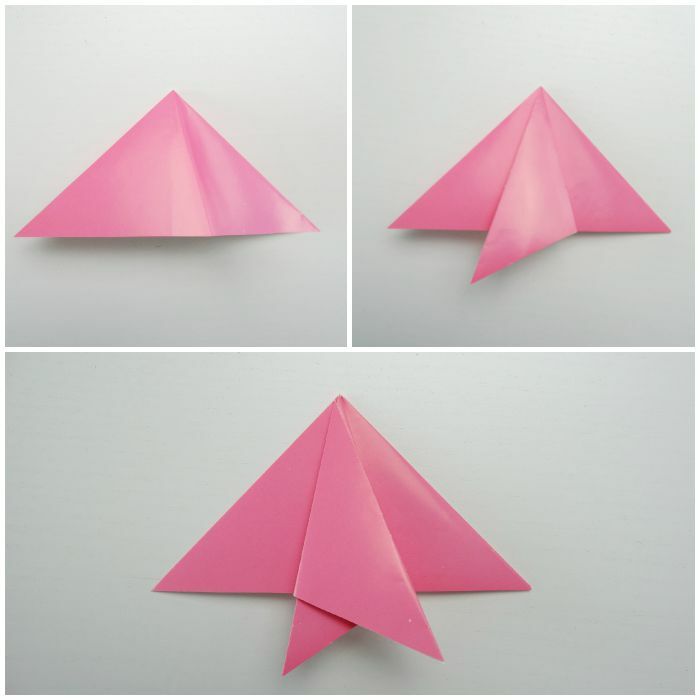 Start by folding a square piece of paper diagonally (both sides) and in half (one side) – crease and unfold as shown on the first image above. 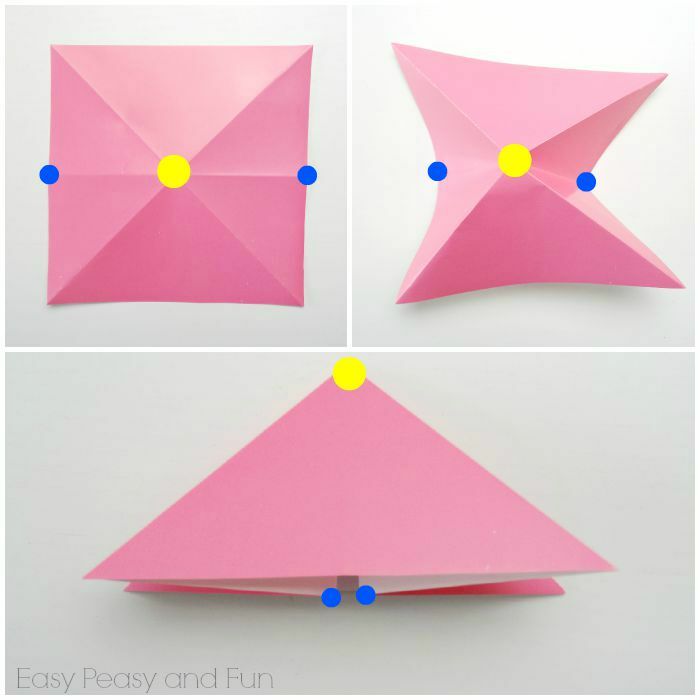 Hold the paper as indicated with blue spots and fold towards the center to get a triangle shape. 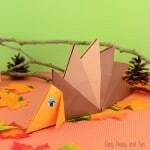 Now hold the right bottom corner of the triangle and fold it toward the center along the crease shown on the first image above. 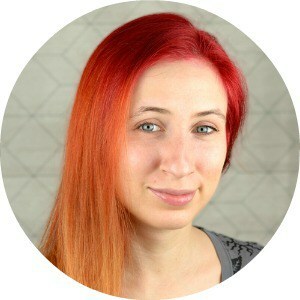 Do the same with the other corner – we got fish tail! 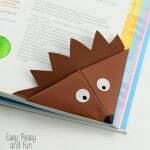 Loved this one? 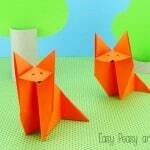 Then why not fold an origami fox? 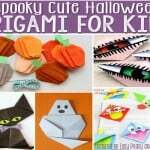 Or make an ever popular cootie catcher with a jawesome twist! 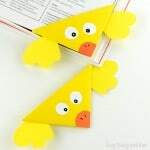 If you need something even simpler be sure to make these origami bookmarks. 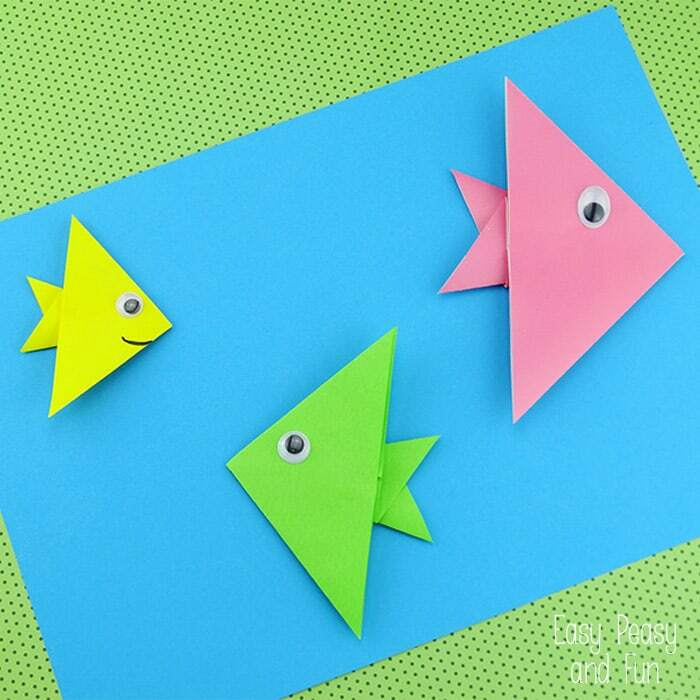 This one looks so cool.Am planning to teach my children in school to make this.Thanks for sharing and I just loved the cute fishes! Have a great day!